of this short history of wax. Early on as a candlemaker, I learned how throughout human history, as we know it, wax has been used in many ways for many purposes, from the prosaic to the sublime, the practical to the fanciful. But not once did I hear it mentioned nor did I myself connect wax being used to make wax figurines with the wax figures in wax museums. It wasn’t until that day I was online searching for Coto Flakes to no avail that I plopped the word “wax” into my local library’s online catalog’s “search me” box and one book and one book only popped up: “Madame Tussaud,” by Michelle Moran, a book of historical fiction published in 2011. I stared at my computer waiting for my brain and mind to catch up, to make the connection between wax, wax museums, and a person called Madame Tussaud. Apparently, where my brain and all else had failed—wax, Madame Tussaud, wax figures, wax, wax museums, Madame Tussaud, real person—an online library catalog search engine had succeeded—real person? Wax museums … beeswax? I felt an excited rumble deep within. Could it be? Were the wax figures in wax museums made of beeswax? And who was this person Madame Tussaud? What is this connection? Through Moran’s book and others, I learned that the art of creating figures from wax dates back centuries and that one of the most renowned wax artists of all time was Madame Tussaud. Her art, her craft, her business have survived for more than 200 years, and, offhand, I cannot think of another twenty-first century international business worth hundreds of millions of dollars that was originally founded and run by a woman who survived the French Revolution and subsequent Reign of Terror by virtue of an aspect of her art, that is to say, her ability to make death masks—wax replicas—of the bloody bodiless heads brought to her by rabid revolutionaries. In Paris, in the late 1700s, who else would you turn to? 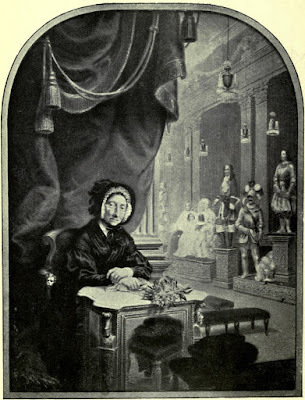 Marie Grosholtz, who upon marriage became Madame Tussaud, lived from 1761 to 1850. As an artist working in wax she was also an illustrator, a sculptor, an historian, a costumer, a set designer. As a businesswoman working in France and later in England, she handled all aspects of running an exhibition hall and, for a time, a travelling exhibition. She was a bookkeeper, a cashier, a greeter, a publicist, an employer, a decision-maker, a story-teller, a show master, a woman who unfailingly knew her way around be it in a prison or a palace. She survived revolution, war, all that; she did indeed live for a while in a palace, for a while in a prison (where she met Napolean’s Josephine, a connection which came in handy later when she wanted to create his likeness in wax); and she survived a shipwreck. She became a wife, a mother, a grandmother, and, eventually, the matriarch of a family business. And she lived during a time and in places where the owning of property by women was illegal. Good or bad, no matter what Marie Grosholtz was handed, it seems, she used it. She made something of it. She shaped it, she made it work. Born in Strasbourgh in eastern France, on the border with Germany, though by some accounts in Berne, Switzerland, Marie learned the art of creating wax figures from Philippe Curtius, a man with whom Marie and her mother came to live in Berne and then Paris. Marie’s father had died or otherwise disappeared while Marie was quite young or maybe yet unborn, and this man Curtius became a person Marie called “Uncle.” He may have been the employer of Marie’s mother as a housekeeper, or he may have been, or came to be, something more. Or maybe he was, indeed, her uncle. Either way or any way, Curtius, as a doctor in Berne, had been making anatomical figures—body parts—from wax that were, at that time, used in medical study. Apparently he had an unusual talent for this and was encouraged to go to Paris to expound on it, make a living by it. Eventually he came to have two wax salons in Paris, one in a fashionable district and one in what might be called a low-rent district. At these salons one could walk among the uncanny likenesses of newsmakers of the day: the philosophers, the royalty, the murdered and the murdering. One could also contract to have their own likeness made, a wax portrait, as it were, an impression of themselves in wax, a handmade, hands-on, three-dimensional head shot coming long before photography flattened us. The process of creating a wax figure then and now involves an artist sketching and studying a figure; using those sketches to sculpt a detailed figure from clay—head, hands, arms, whatever is to be seen, unclothed; using the clay figure to create a plaster mold; pouring the wax mixture into the mold; and, after the wax has set and been removed from the mold, detailing the resulting figure as necessary by adding things such as hair, teeth, fingernails, eyeballs, clothing, accessories, etc. Then a set is designed in which to place the figure and a description written to provide the who, where, when, how, why of it all: the importance of this person we have captured—some say frozen—in wax. Another way to create a wax visage is to make a plaster impression directly on the person. Wax can then be poured onto the inside of the resulting form and when released every wrinkle, wart, scar, smile, dimple, pore, pimple, frown is there, in wax, intact, forever. Or until someone melts it down. 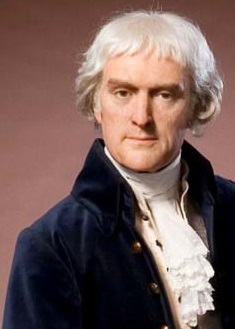 Moran describes Marie visiting Thomas Jefferson, ambassador to France, at his Paris residence. At the time, Marie is still a young woman living and working with her uncle and mother at their Salon de Cire in Paris. She sketches and measures both Jefferson and the Marquis de Lafayette in order to recreate their figures in wax. She also visits the Marquis de Sade, in prison, for the same purpose, to study and sketch him, to create his likeness. And that’s the thing—in order to draw people into the family’s salon, the wax figures and tableau they present have to be notable. Have to be worth it. Have to be eye-catching and newsworthy and maybe even jaw-dropping. At the time, the people of Paris were starving, literally, and starving, too, for news, for information, which, in a way, the Salon de Cire was providing by showing how these others, these movers and shakers, looked, dressed, lived. There were no photographs, no TV, none of that, just writers and illustrators, public hangings and magic lanterns, and wax museums. The king and queen of France, Louis the XVI and Marie Antoinette—what do they look like? At the salon you could see them, their family and clothing, their chairs and tables and knick-knacks and shoes. So this is what they look like. And the murderers and sadists, of course, we want to see them, their countenances, their clothing, their tools, their weapons. Who are these people? Here they are. Are they like us? Voltaire? Here he is. So whether those others were royalty or rapscallion, philosopher or plunderer, Marie and her uncle had to decide: Who and what will the people pay to see? Not only the people who have money, but, and perhaps even moreso, the people who have no money. In the thick of quickly changing times, in the thick of revolutionary times, the Salon de Cire had to keep pace with big-as-life wax exhibits that portrayed the world as it was in all its comings and goings. Moran’s book and Carey’s as well, although fictional, are based on fact, and the facts of the French Revolution and the Reign of Terror are horrifyingly real. Through subsequent reading online and of Pilbeam’s historical account, I came to appreciate Moran’s accounting of events as being just as plausible as the next and Carey’s, in a way, too, reading his novel later, for once the revolution started heads did roll, and roll, and roll, and wax replicas of those severed heads became all the rage and there was a certain immediacy to the whole thing. Now, who else would they go to? And what option did Marie have other than to oblige? If she didn’t, who’s to say her head wouldn’t be next? So they brought her heads, she kept her head, and she kept her head. 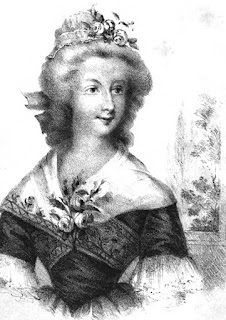 Because Curtius was frequently involved in national guard business, Marie usually undertook the gruesome labour of modelling the severed heads of enemies of the Revolution for the Convention. She detailed this quite matter-of-factly in her memoirs. … She was obliged to make models of many individuals she had known at court, including the princesse de Lamballe … when she was murdered during the September Massacres. I cradle the back of his head so I don’t have to touch the bloody stump of his neck. As I place it between my knees, it stains my apron. … I expect the crowd to be silent, but they chat among themselves as if this were an open-air show. … Without the need to sculpt a clay head first, the entire process is swift. … I remove the plaster and pour beeswax into the hardened mold. … When I am finished, I pass Hulin his wax models. With a theatrical flourish, he impales the heads on the ends of separate bayonets and lifts them above the crowd. … there are wild cheers. Today at Madame Tussauds of London—one of several Madame Tussauds around the world—a wax figure of Madame du Barry, mistress of King Louis XV, reclines on a chaise lounge, seemingly breathing. The figure was created by Phillipe Curtius in 1763. Marie herself is there, in the museum, a self-portrait in wax created in 1842 when Marie, by then known as Madame Tussaud, was 81. When Marie was able to leave France, in 1802, she did. She had married François Tussaud in 1795, but upon leaving Paris she also left him. Together they had had a daughter, who died in infancy, and two sons, the youngest staying in France with his father, cared for by Marie’s mother, and the other, Joseph, 4, going with his mother to England. Together with some of the wax figures they crossed the English Channel and for 30 years toured Great Britain as a waxworks traveling show before settling in London, opening an exhibition hall there, by which time the younger son, Francis, had left Paris to join his mother and the business. Upon their mother’s death, Joseph and Francis took over the London waxworks known as Madame Tussaud’s. Marie, after leaving France, never saw her husband again. Nonetheless, his name lives on. I am tucked in the world, into the smaller parts of it. I do not impose myself in any grandiose way. I find the gaps and inhabit them. Madame Tussaud, Moran, Michelle. Crown Publishers, 2011. Little, Carey, Edward. Riverhead Books, 2018. 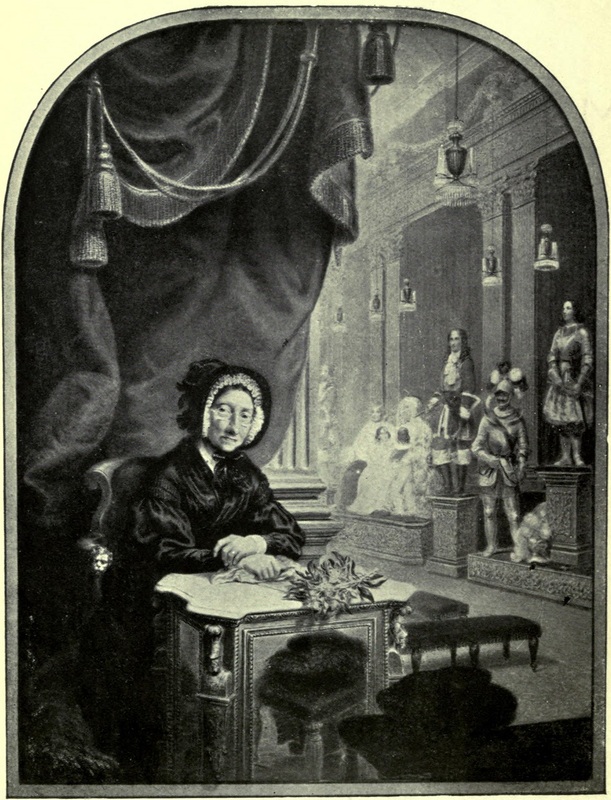 Madame Tussaud and the History of Waxworks, Pilbeam, Pamela. Hambledon and London, 2003. Madame Tussaud's Memoirs and Reminiscences of France, Forming an Abridged History of the French Revolution, edited by Francis Hervé, 1838.